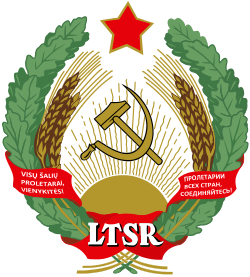 The coat of arms of the Moldavian ASSR was the official emblem of the Moldavian Autonomous Soviet Socialist Republic in the Soviet Union, and underwent a number of changes over time. 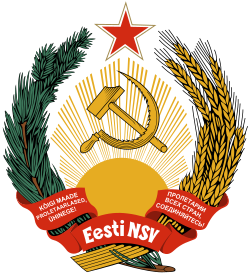 The national emblem of the German Democratic Republic featured a hammer and a compass, surrounded by a ring of rye. It was an example of what has been called "socialist heraldry".